It’s good to be queen and king of Lakewood’s signature holiday community event. 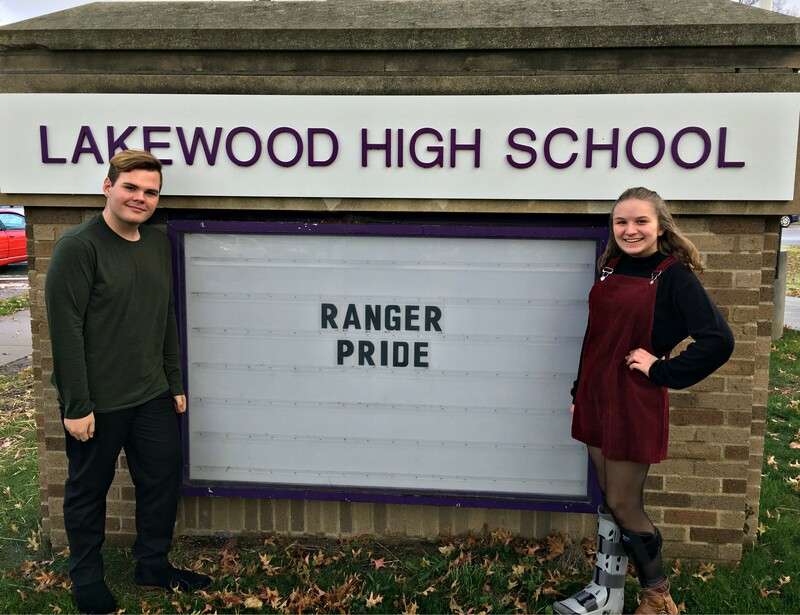 LakewoodAlive announces that Lakewood High School juniors Erin Black and Greg Medley have been named Queen and King for Light Up Lakewood 2017 sponsored by First Federal Lakewood. Students chosen for this honor have demonstrated their love for Lakewood through providing outstanding service to the community. In addition to reigning over the Light Up Lakewood Holiday Parade on Saturday, December 2, Erin and Greg will both be awarded $500 scholarships courtesy of Plantation Home in Downtown Lakewood. Both winners have agreed to provide at least 24 hours of service to the community during the coming year. Congratulations to Greg Medley and Erin Black on being named Light Up Lakewood 2017 King and Queen! Erin and Greg will receive their checks and sashes at Plantation Home at 3 p.m. on Saturday, December 2, and will be crowned by the 2016 Queen and King, Sarah Bene and Abe Dalisky, at 6:30 p.m. during the Lighting Ceremony taking place at the Main Stage at City Center Park as part of Light Up Lakewood 2017.